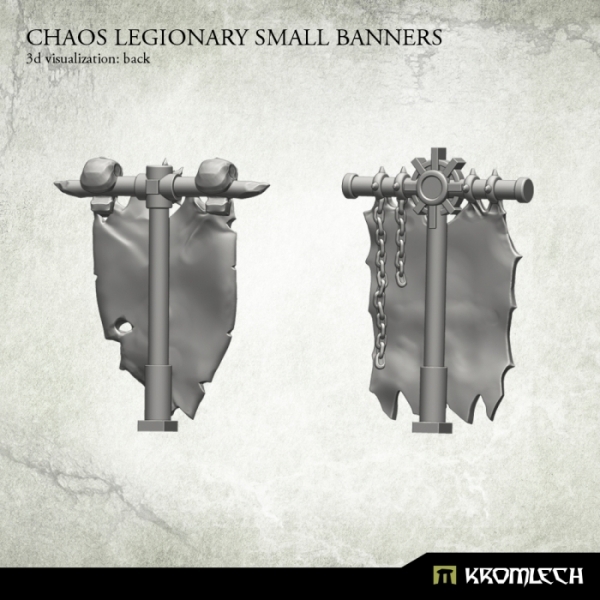 This set contains two resin Chaos Legionary Small Banners. 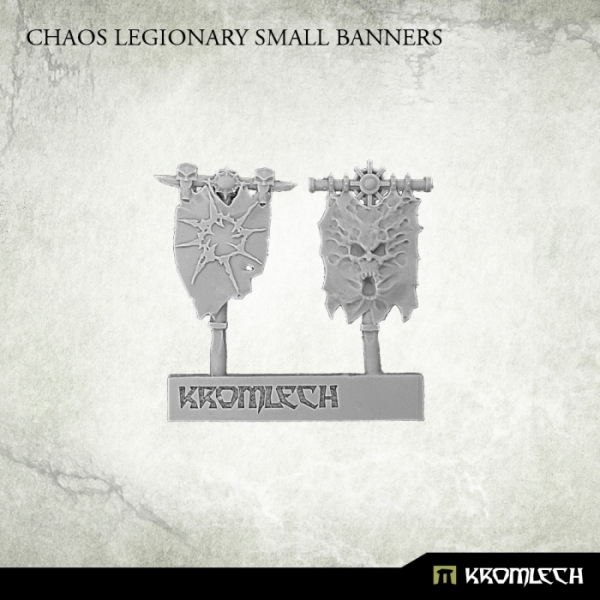 Designed to fit futuristic 28mm heroic scale power packs of heavy armoured models. 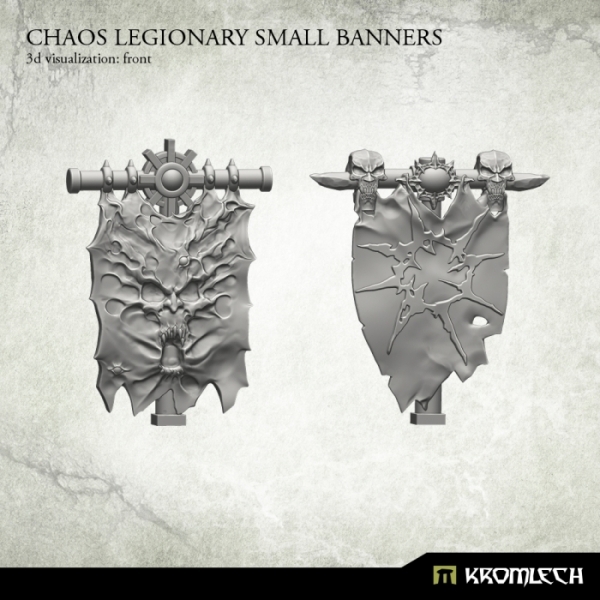 Perfect for Chaos Legionaries champions to mark their dedication to true chaos power !